Henry: (After sitting on the toilet so long that his legs fell asleep) owowowow, my shoes are going to melt off! Me: (To James) Henry’s teacher said Mac looks just like me. Henry: No, you do not look like Mac! Henry: His shirt is a totally different color than yours. Me: (heading into tourist site) Now Henry, what do you do if you need to pee? Me: (After successfully navigating a tricky curb with the glider board on the stroller) Hashtag nailed it! Hashtag winning! Hashtag best stroller driver in Rome! 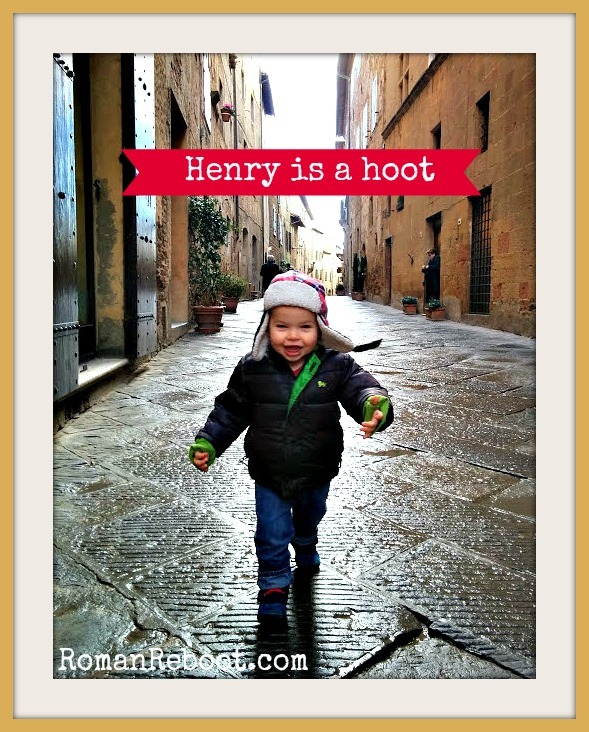 Henry: Hashtag best stroller driver in earth! Henry: I like you. I like you more than toys. Psst. Want more hilarious Henry? Check him out here.